Feeding Your Puppy should be a fun bonding experience for both of you. But if you are a new puppy owner or someone who has not had a puppy in a while, you might be wondering how to start off right--what to feed, how much to feed, when to feed. These are just a few of the many questions new puppy owners have. If you are one of those, read on. Feeding Your Puppy: What to Feed? 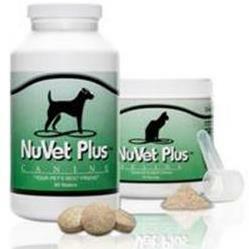 Puppies have different nutritional needs than adult dogs and therefore require a different diet. 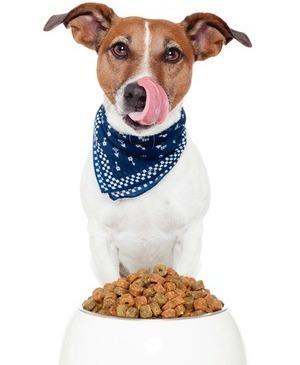 There is a wide range of quality when it comes to dog foods and puppy foods are no exception. Finding the highest quality puppy food your budget will allow will keep your puppy healthier over the course of a lifetime and cut down on veterinary bills. To learn more, check our our article on choosing the best puppy foods. Feeding Your Puppy: How Often? Most puppies are completely weaned by six to eight weeks of age and many are ready to move on to their forever homes. Some small breed puppies do not leave the breeders home until they are 12 weeks of age. By this time, they are eating real food and feeding your puppy will be your responsibility. Very young puppies under 10-12 weeks of age may need four feedings per day. Most experts suggest that puppies be feed three times a day until they are 6 months old, then 2 times a day throughout their lifespan. 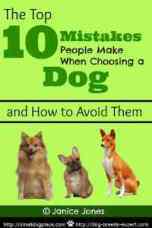 You do not need to rearrange your schedule to accommodate a small puppy, but consistency is very important. Meal times should be at the same time daily. Most experts agree that the best way to feed a puppy is by scheduled meal times rather than free feeding which is leaving food out at all times where puppies are able to eat ad lib. One advantage to a scheduled feeding routine is that you are more in control and have a better idea how much food your puppy is consuming. Even more important, scheduled feedings allow you to potty train your puppy faster. If you have control over feeding your puppy, you will also gain control over their house training routine. 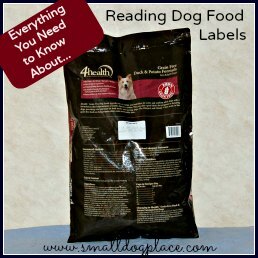 Feeding Your Puppy: How Much? Read the package directions for the amount of food to feed. Divide that amount by the number of meals you will serve (two or three). Serve and allow the puppy to eat. Remove uneaten food after about 20 minutes. A very slow eater may need a few extra minutes. Use your judgment. Use the package directions only as a guide. Very active puppies may need more than their less active cousins. If you are in the process of training throughout the day and plan to use treats as reinforcement, take those extra calories into consideration when feeding a meal. If you feel the puppy is getting too many of his calories from treats, use a portion of the kibble that you would normally feed at mealtime to treat when training. Monitor your puppy’s weight. You should be able to feel ribs but not see them. If you can not feel any ribs, you might want to cut back just a little. Everything that goes into his little mouth is part of his daily caloric intake (treats and handouts from the table included). Puppies can get very porky if they get into the habit of begging while you are eating. It’s easy to see why people will feeding the puppy just a little handout here and there, but once this habit begins, it is extremely difficult to break. Once a puppy has had a tidbit from the table, you will never have another mealtime without the puppy jumping up wanting more and more. The moral of the story is Don’t Start! There is no reason why you cannot feed both as long as they are both labeled for puppies or all life stages. Some people will feed dry in the morning and then mix canned and dry with a little warm water in the evening. Some people prefer to use just dry because they believe that crunching up dry kibble is a good way to keep their puppy’s teeth clean. It is true that puppies need many opportunities to chew, especially while they are teething. The best way to keep puppy’s teeth clean is to brush their teeth. No amount of dry food will keep teeth cleaner than you can do with a toothbrush. Many people will tell you to find a food and stick with it. It is true that changing foods should be done cautiously, but there are advantages to using different foods. Even the best foods may lack something your puppy needs. Periodically changing out foods assures that over the long run, your puppy will be getting the best nutrition possible. If you notice a considerable change in your puppy’s stool consistency, you might need to stretch out this schedule for an additional few days. Visit your veterinarian regularly throughout that first important year to check the puppy’s weight and discuss dietary concerns. Training is a very important activity that you will do with your puppy. Most trainers believe that food incentives are a useful adjunct to training. It is easy to over-feed, especially if you are diligent in your training tasks. Everything that the puppy ingests should be taken into consideration when determining his overall daily caloric intake. Choose treats that are just as nutritious as your regular food. Substitute other treats such as carrot sticks or tiny bits of hotdog. If you prefer a commercially available treat, choose one that has the same high value as your food. For example, here is the ingredients list for high quality dog treat. You might like to check out these other resources.